Hi again! 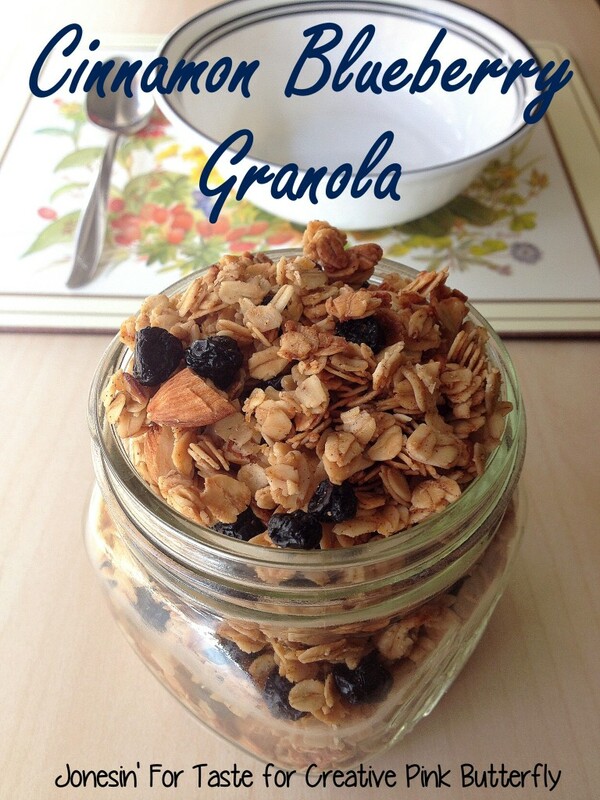 Jade here from Jonesin’ For Taste and I’m here to share one of favorite breakfast foods- granola! We are big fans of granola and making it at home means that I can adjust how much sugar there is in it. And there is an endless variety of combinations to make by adding various nuts and fruits- like this Cinnamon Blueberry Granola or Tropical Granola. Plus you can use it over ice cream, yogurt, or as cereal. And you can make it during warm months without heating up your kitchen by using a slow cooker. If you go with this method of cooking make sure to grease the sides of the slow cooker really well and stir every 15 minutes until toasted and a light brown color. 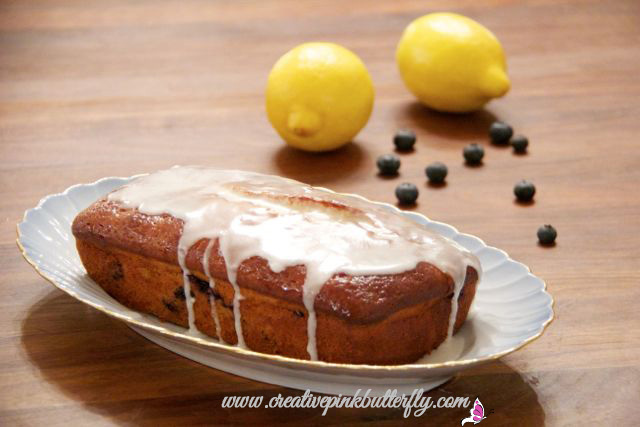 We really enjoyed the great cinnamon flavor with the blueberries and almonds and think you will too! In a large bowl, stir together the oats, almonds, and cinnamon. In a bowl, whisk vanilla, coconut oil, and honey together. Pour honey mixture over the oat mixture and stir until the oats are well coated. Spread the granola over a greased cookie sheet. Press granola down lightly with a spatula. Bake for 15 minutes. Stir and bake for another 10-15 minutes until toasted and oats are a light brown color. Remove pan from the oven and allow to cool completely. 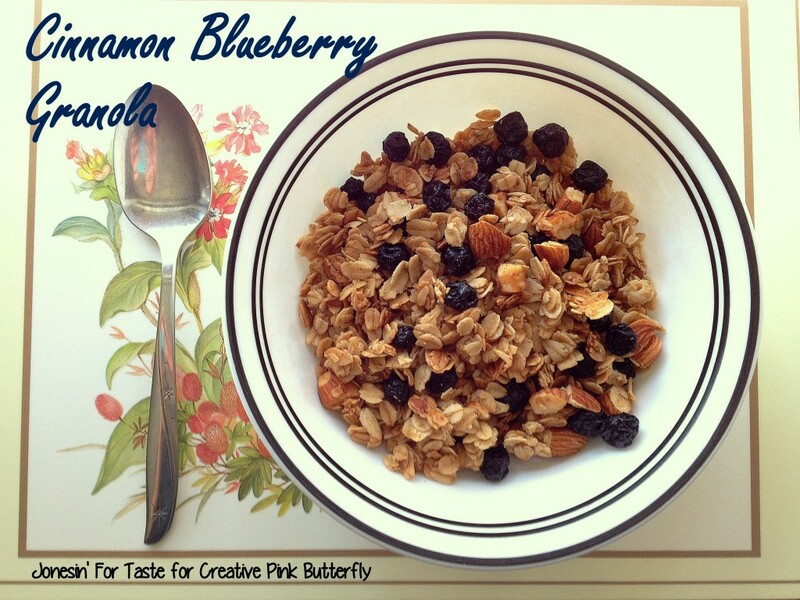 Break granola apart and add in the blueberries. Store in an airtight container. Delicious! I have all this stuff in my kitchen already and am pinning this so I can make it for breakfast soon! I shared this on #FoodandFitnessFriday, a weekly link party I have for any healthy recipes and fitness posts. I hope you will consider stopping by this Friday and sharing another one of your awesome posts!